Just like virtually every other young girl in America, my little girl wanted a Frozen themed birthday this year. I always struggle a little with her birthday--it is right before Christmas. How do I decorate for the holidays but still make her birthday special? Well, this year, the Frozen theme made things easy! 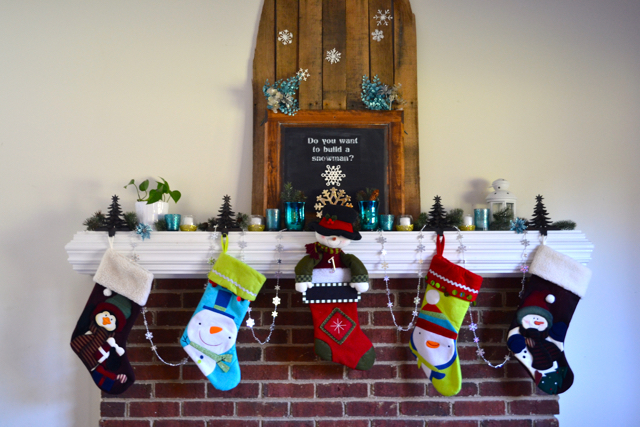 And the best part was that I didn't have to buy much to make this mantel happen. If you have see a Frozen party in your near future, you need to go and stock up on snowflake stuff when Christmas decorations go on clearance! Now, I don't want you to think that I'm just combining my daughter's birthday with Christmas willy-nilly. Instead, I first asked her if she was willing to allow her birthday decor to also be a part of Christmas. 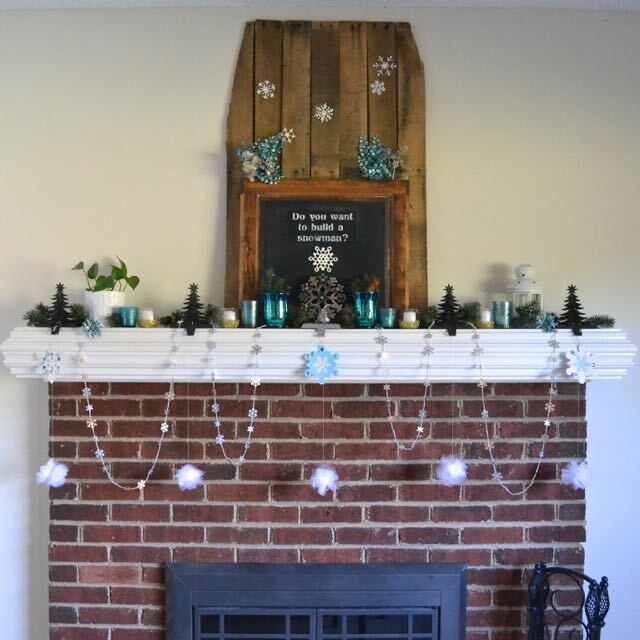 But then, I made sure she had ownership of each part--what went on the blackboard, what projects to make, the arrangements, and of course, she did some crafting, as well, to contribute to her Frozen Mantel! 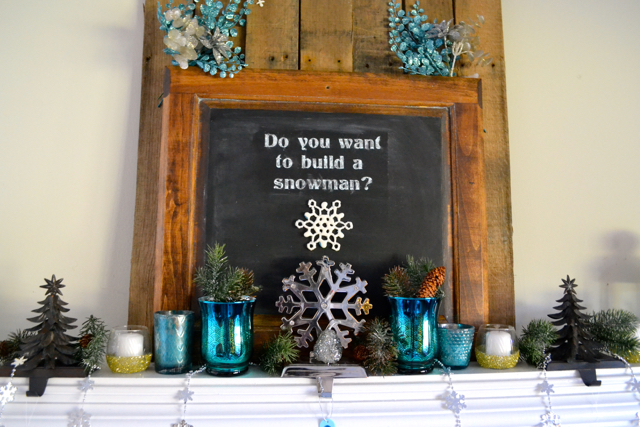 Homemade blackboard with a new text that fits for Frozen or Christmas! So when the party was done, and all the Elsa cake was eaten, all we had to do was move the snowballs and hang up stockings...and we are ready for Saint Nick to visit! 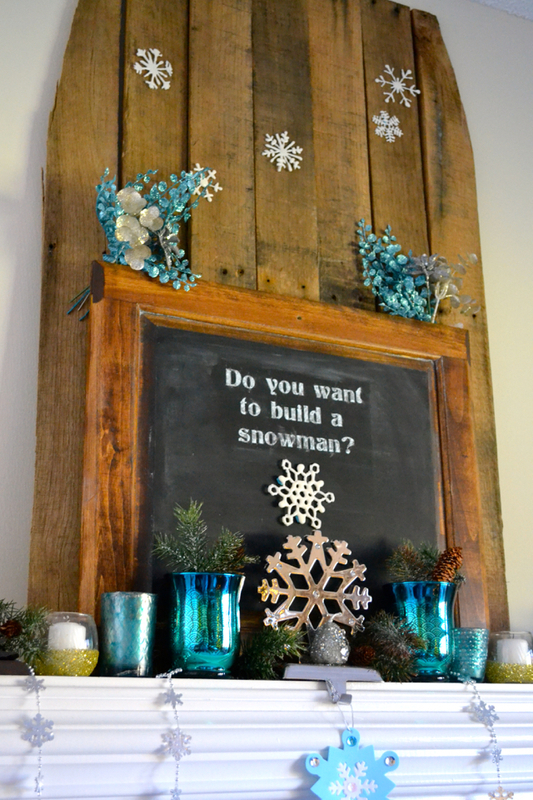 So, are you hosting a Frozen party this year?